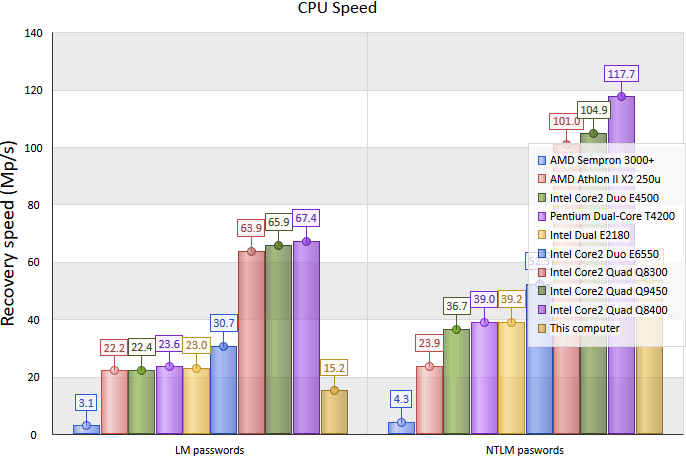 CPU speed - password recovery speed comparison (for brute-force attack). GPU speed - shows and compares password recovery speed for your GPU device. You can benchmark your CPU or GPU performance using the Pass-o-meter tool. Cracked users - displays the number of cracked users. The full list of cracked user accounts can be saved to text file additionally. Cracked users and passwords - displays the list of cracked accounts with passwords.